Laughter is the key to any solid relationship. 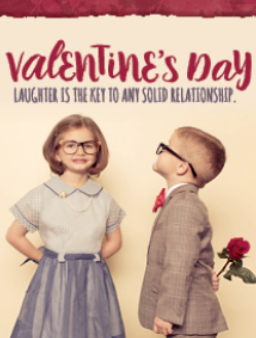 Enjoy a night of laughter with that special someone at Helium! Steve Byrne has evolved throughout the years into an extremely versatile entertainer that delivers on a day-to-day basis. Byrne created and starred in TBS’s “Sullivan and Son” and has appeared in many films including “The Dilemma,” “Couples Retreat,” and “Four Christmases.” His fourth one-hour special, “Tell The Damn Joke,” premiered on Showtime in 2017.